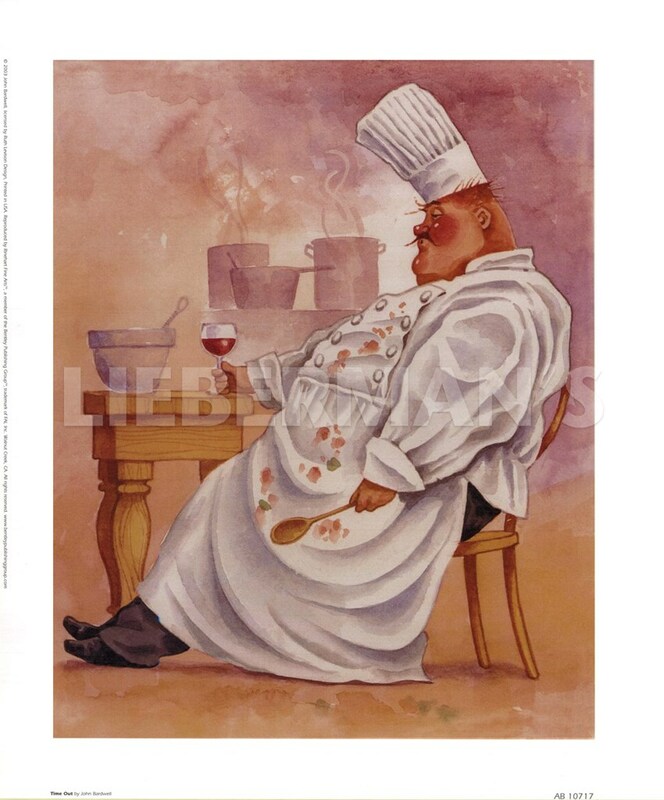 Time Out Fine-Art Print by John Bardwell at ChefDecor.com. 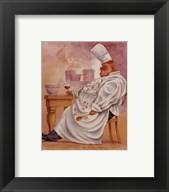 While his creations simmer, a chef takes a break and enjoys a glass of wine in this piece by John Bardwell. Framed Size: 14" x 17"